The Custom Design 4 Tier Discrete Hi-Fi Support is a modular design, with additional shelving available on request. The modular system allows the addition of shelves, a change of spacing, or finish if desired. 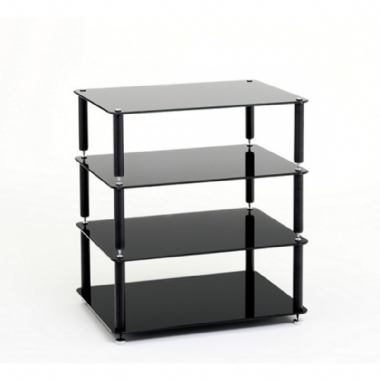 Shelf sizes of 525(w) x 400(d) x 6mm thick and are available Clear or Black finish. The glass shelves are manufactured and toughened to British Safety Standards BS 6206.